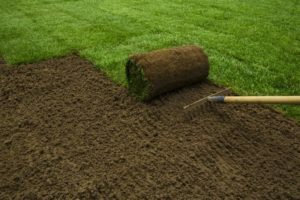 Lawn and garden care experts all over the country agree that sodding your front and backyard is highly comparable and even preferable to seeding for a variety of reasons. The main reason is that sodding, when done properly and during the right time of year, is actually more convenient, quick, and allows you more time to actually enjoy your green space because it requires much less maintenance than seeding. The general consensus is that the best time for sodding your yard is early spring, but there are also a number of benefits to waiting until the early fall, right before the first frost of the season. Since spring and summer are typically the peak seasons for gardening, professional landscaping companies are usually overbooked during this time of year and they tend to increase their prices due to higher labour demands. If you wait until the fall to book them, they’ll have more time and resources to devote to your project at a much lower cost. As the temperature begins to drop in September and October, the ground becomes more susceptible to accepting new grassroots. In addition to that, less manual labour and landscape maintenance is required and you won’t need to water your lawn as often in order to keep it healthy because the ground absorbs more moisture during this time of year. On top of that, your new and mature grass is less prone to developing diseases during the fall season as it adjusts to its new setting because the temperatures are typically more consistent in the fall than in the warmer seasons. This is an added bonus because not only will you save money on your spring cleaning and chores, but it also gives you more time to focus on other things and actually enjoy your outdoor space once the warmer weather hits. Also, sodding in the early fall months, before the leaves start falling, means there’ll be fewer weeds to contend with and remove. FOREVER GREEN LAWN & LANDSCAPE INC. provides top-of-the-line professional landscape construction and maintenance services to residents and companies in Toronto and the GTA. Our lawncare experts collectively have over 20 years of onsite experience in designing and developing beautiful outdoor spaces using climate-appropriate materials and plants. Contact us today to book a consultation!